The theme of this book is the growth of the European tradition of medical theory, from the early Middle Ages until its collapse in the seventeenth century. Central to this tradition were ancient texts and the respect accorded to the ancients themselves by the moderns, the teachers and practitioners of medicine of the Middle Ages and Renaissance. 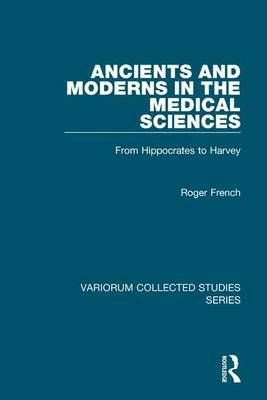 The chapters examine how the ancient texts formed a resource for later medical men and how as a consequence they were sought out, translated and used. Three matters receive particular attention: the classroom culture by which the teachers perpetuated their pupil's faith in the ancient texts; the use of learning and argumentation by which the university doctors secured their reputation; and medical astrology as a prognostic technique. The story ends when the faith that had been given to Aristotle and Galen, and which held the medical tradition together, was broken, partly by the new natural philosophy and partly by the discovery of the circulation of the blood.